The official announcement for Trent Reznor and Atticus Ross’ soundtrack album to Gone Girl came quite late in the game. It was merely a good week before release that the Null Corporation announced a tracklist and the official artwork. But because I started working on this series in early September I had no knowledge of the design direction the label would follow. That fact made these custom covers really challenging. It almost felt like an official assignment to me and I approached it with appropriate care. Retrospectively my early draft (#2) for the primary cover artwork came pretty close to the official one (#1). Yet, opposed to its two predecessors, this time the label added an extra Soundtrack From The Motion Picture tagline, making it clear that this is a movie score and not a regular album. I in turn went for maximum minimalism. The artist’s names were all I wanted to have on my front cover. I tried out different approaches of course, but the least flashy one seemed to be the most suitable. I understand that that’s not everyone’s cup of tea, so I also designed some alternates with a more traditional titling (#3 to #5). Director David Fincher once again chose Neil Kellerhouse to create the promotional material for his film. Neil’s designs are of striking beauty, have an incredible amount of detail and bear a strong resemblance to Fincher’s cinematographic style. Of course all delivered with stellar perfectionism. Without claiming to be even remotely in the same league, this time I paid extra special attention to my font choices (Helvetica Neue LT Pro, Futura Md BT, Tw Cen MT, Sackers Gothic) and their placement on the artwork. Sometimes the tiniest adjustment in font size makes a difference on the overall look of an artwork. I changed them forever and cross-checked on a multitude of devices. 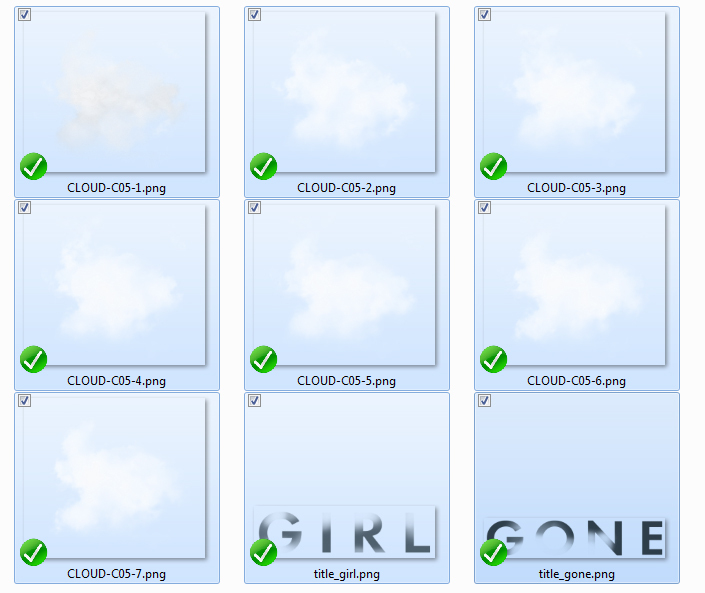 By the way, the cloud logo and title treatment are different on every cover. I managed to extract the semi-transparent PNGs from the official website and thus was free to place them anywhere within the canvas. 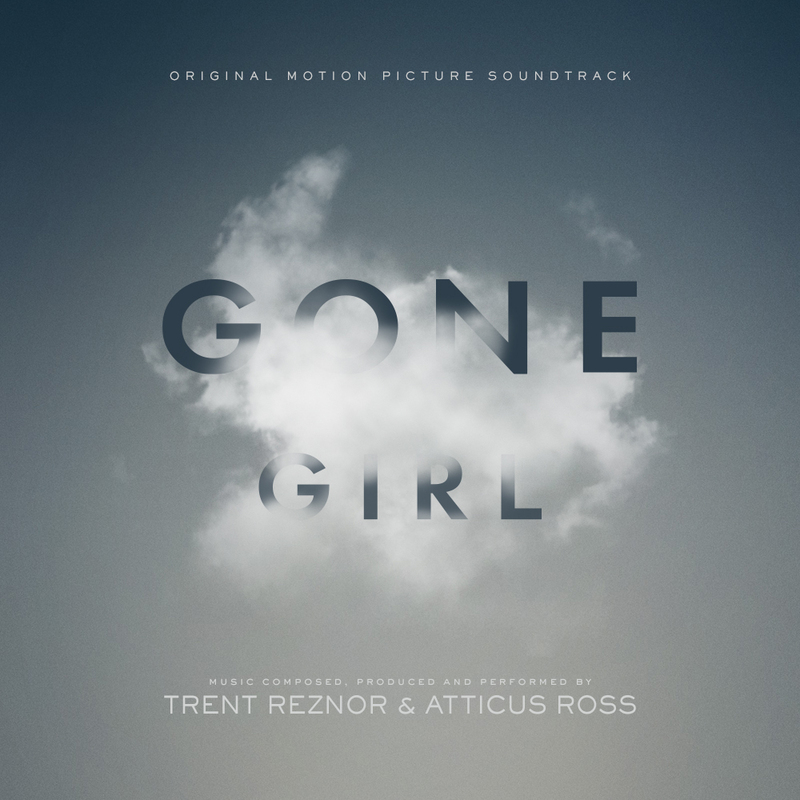 Both The Social Network and The Girl With the Dragon Tattoo were promoted with a free sampler prior to the official soundtrack releases. I decided to keep that tradition for Gone Girl (#6) even though there was no real promo sampler. But NullCo. pre-released four tracks on SoundCloud so I used that as a reference. I came up with multiple sketches and ended up with a very low-key design, utilizing the colour scheme of Gillian Flynn’s book jacket. The last cover (#7) was deliberately designed in the way that, depending on your selected viewing device, the term “Girl“ is in fact almost gone. I like the colour tint in this image a lot. Toning down the brightness while increasing the translucency of the text created a very subtle and muffled atmosphere. The italic typeface makes this almost look like a glossy magazine ad. And there should at least be one cover artwork featuring the eponymous girl, isn’t it? Hello: long time lurker. I just want to say that your final cover (#7) is absolutely ingenious. I love it! Thanks! I appreciate you taking the time to write something. And once again it’s interesting to see my least favourite design as someone else’s favourite.